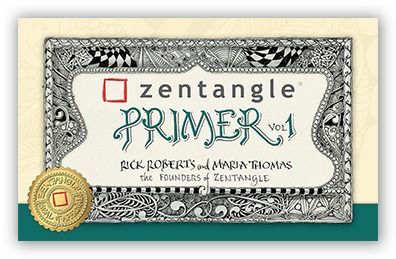 Zentangle Newsletter - Welcome Seminar 25 CZTs! 25! . 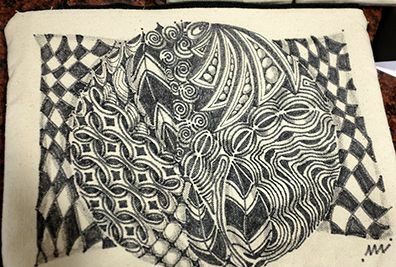 . . a silver jubilee of tanglers learning to share the Zentangle Method. 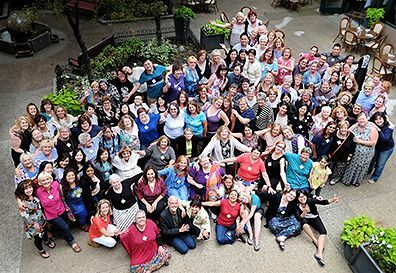 What an exciting milestone to celebrate and with (as always) such wonderful people from around this beautiful planet. 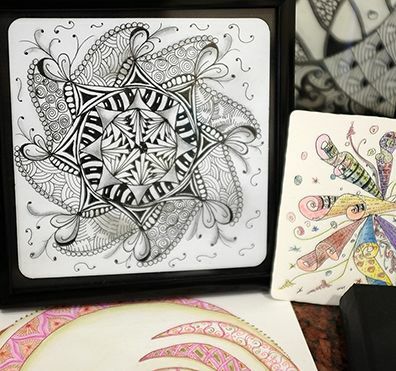 Once again, please take this moment to meet them, to see some of the creations shared at this 25th Certified Zentangle Teacher training in June. Welcome to CZTs of Seminar 25! Welcome to CZTs from Seminar 25! This seemed to be a family themed seminar with many family groups attending . . . how fitting for a family run event! 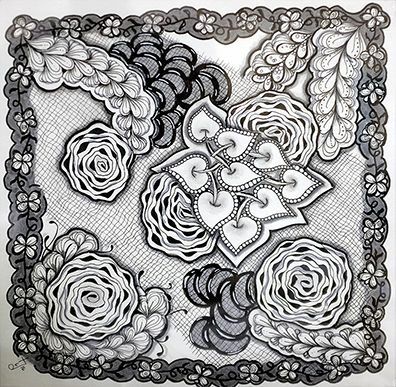 Once again we all basked in the uplifting camaraderie of Zentangle creativity (see below). 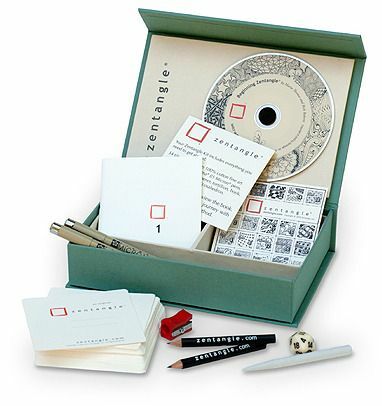 We look forward to working with these amazing people as they spread the Zentangle Method around this world. Thanks again to all those artists who shared their work with us. This is just a small sampling . . . but we wish you could have seen it all! Thanks again to all who brought and shared such beauty and creativity. We have only shared a small sample. All the art on display was so exquisite that we would like to have shared it all. To view these images and the group photo in larger size visit this companion blogpost. Mosaic: a combination of diverse elements forming a coherent whole. Medley. Collection. My life has always revolved around my art. As a child, I was content to amuse myself with whatever art form I was into at the moment. Things morph, as things are want to do, but my attentions never faltered in this department. 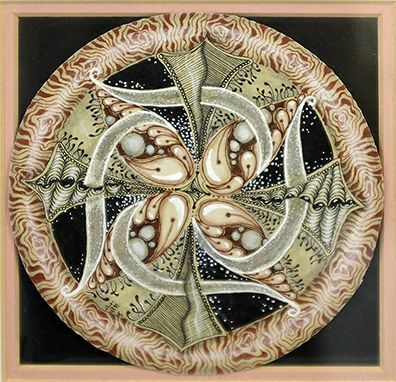 I was lucky to have parents who supported my art, but did not push. Big families are like that, I guess. Except for a few stints at waitressing and technology, I remained focused on my art - mostly illustration and lettering. 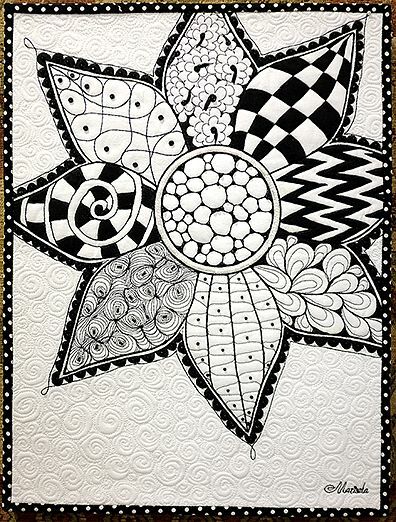 Fast forward, onward and upward, Zentangle inspiration appears out of nowhere, urging Rick and me to explore beyond our comfortable, familiar routines - encouraging us to pursue this path of new adventure, this new way of putting pen to paper. 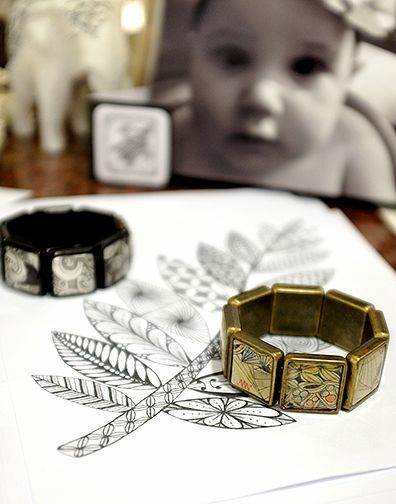 Even though these Zentangle ideas were fresh, they were still familiar as it was still all about pen, pencil and paper. I have been living "pen and paper." I know what to do with these materials - my inspiration and my comfort food. Then one day, Rick said he wanted to create an APP. A what??? 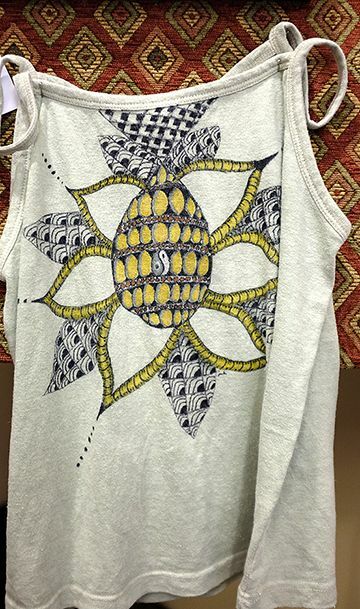 This doesn't belong with the Zentangle experience. I quietly resisted it from the start. 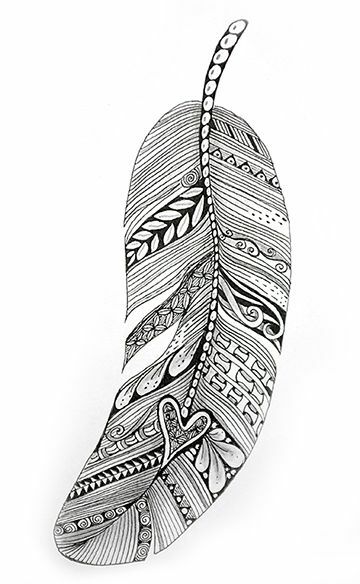 I remember thinking, "Guys, Zentangle art is all about pen and pencil and PAPER! What do you not understand?" Yet Rick, along with Molly, Martha and Julie, began brainstorming the possibilities. So . 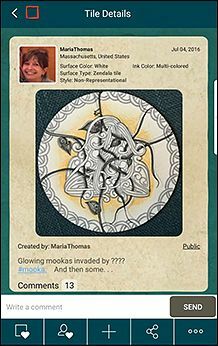 . . once the app was published, I began to post my tiles as requested, albeit quite reluctantly. I started hearing from tanglers all over the world commenting on this and that. Sometimes they just said they loved my work, but often they had really great insights, questions and explicit notions about each tile I posted. I also was learning new tangles, techniques and composition ideas from all these amazing artists. I could ask them questions, in the comments or in a one-on-one conversation. I could grab my phone wherever I was and enjoy the "waterfall" of new tiles being posted. Soon, my phone became my portable Zentangle "portphonio" - all my tiles in one place in my bag (of tricks) - and not only my tiles, but all the tiles and Zentangle inspired art from all over the word! This was an answer to having a gallery to show all this fabulous work . . . to each other, to the world! I admit having been a naysayer, but Rick was right. It just took me a bit of time to get used to the concept. As I think of myself as a teacher, I can gently guide tanglers to try new ideas as they come to me. And as I think of myself as a student, open to learning new ideas, I take tangle inspiration from the many tiles that flow through the waterfall. 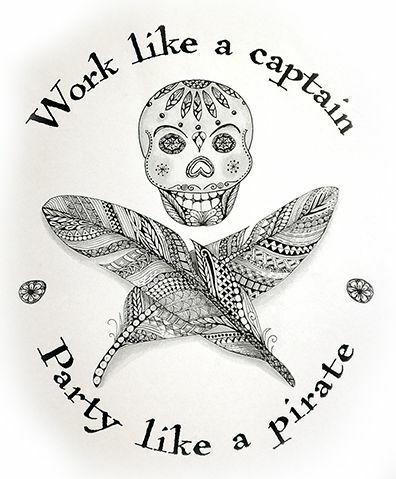 Because, that's pretty much what I do now. I tangle. All day. I am, once again, in love. To view tiles from Seminar 25 that CZTs upload, search on the hash-tag: #cztseminar25. 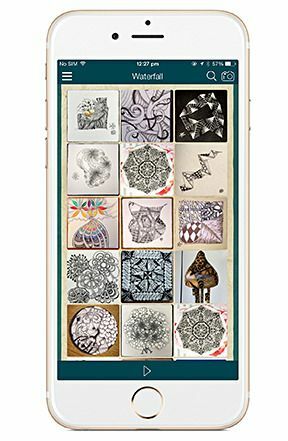 Zentangle Mosaic is free to download and works on iPhone, Android phones and iPad. In the free version you can search and view all the images. Over the next few days and weeks, you will likely find new CZTs in your area. You can look for them at this link on our website. 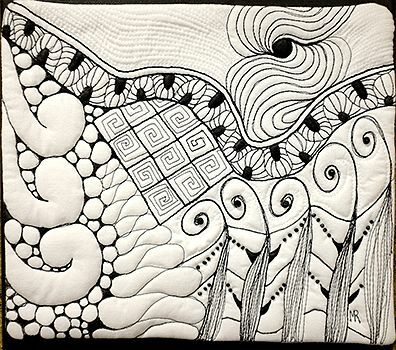 Thank you all once more for enjoying and contributing to this wonderful Zentangle adventure! Our website may be offline for a couple hours again next week. Thank you for your patience!